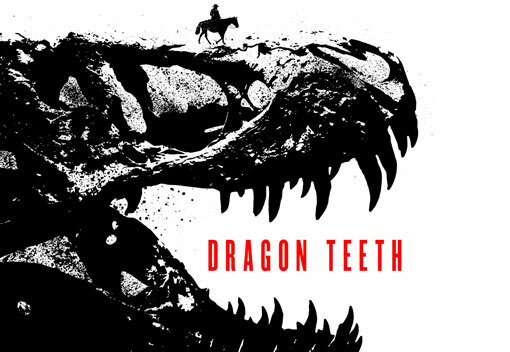 Was walking through the store the other day and saw that they have published another posthumous Crichton novel, this one is named Dragon Teeth. It's set in the late 19th century and is a, I presume, historic fictional look at the "Bone Wars", the early paleontology rivalry between Othniel Charles Marsh and his nemesis, Edwin Drinker Cope. Has anyone read this yet? After Pirate Latitudes, I no longer buy a Crichton novel based on name alone, but here's hoping that it can recapture some of his old magic. I plan on picking it up fairly soon, as I've read everything he's written (that's been published). Pirate Latitudes was a fairly fun posthumous release of his. Makes me wonder just how much was re-tooled since I believe Latitudes and Dragon Teeth were both unfinished manuscripts. He's the Tupac of dead authors. I think VC Andrews is the undisputed champion of that in the literary world. If only I could be a fraction as productive at my job now as she managed to be after dying. I was a regular reader of everything Crichton wrote until "State of Fear" and haven't read anything of his since ... though that's pretty close to the end of his writing career. Yeah, Crichton's only novel after SoF was Next (you didin't miss much). I'll get to this latest one eventually (am actually hearing some positive buzz around it). I never did read his last posthumous release, Micro. Speaking of Crichton, I randomly read Disclosure a few months back. While dated, and tempered a bit from the movie, was a decent read. I saw a few Crichton books on the discount rack that he supposedly wrote under a pseudonym before he was famous. Looked like there were six books in all. He wrote as John Lange and Jeffrey Hudson. I read A Case of Need written as Hudson, and Binary written as Lange. ^ Yeah, the ones he saw were probably the Hard Case Crime reissue of the Lange books. There's a handful of them. Sounds right. Are they worth checking out? The Lange books are all pretty pulpy. If that's your thing (it's mine), they're worth checking out. I think I've only read 2 of them (Grave Descend, Zero Cool), but I enjoyed them for what they were. Agree, A Case of Need wasn't that good. It was written under the Jeffrey Hudson pen name.